Central Wisconsin is home to many great events from international festivals to local gatherings. The wide range of events in our area truly offers something for everyone. The Wausau/Central Wisconsin Convention & Visitors Bureau is proud to partner with and support our area events. If you currently have an event you would like help with or are looking to bring a new event to the area, our staff is able to assist in planning and managing your event. Contact us today for more information. 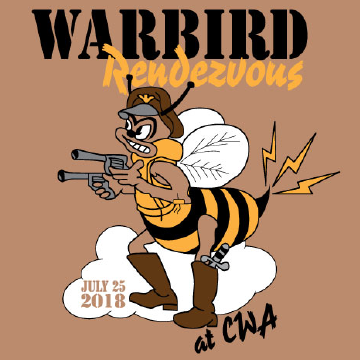 Currently the Wausau/Central Wisconsin CVB partners with three local events: Central Wisconsin Military Show, Wausau Hmong Festival, and Warbird Rendezvous. See below for more information on these three events. Formerly known as the Iola Vintage Military and Gun show, this event has relocated to new event grounds and has now been named the Central Wisconsin Military Show. The Iola Military Show had grown to be known as "The Midwest's Premiere and Largest Military Vehicle Show and Swap Meet" and the new event organizers are dedicated to continually improve upon this experience. Now hosted at Motorama Auto Museum in Aniwa, Wisconsin, the show has even more to offer. Newly developed grounds offer ample parking, camping, swap meet, history encampments, food, music, contests, and military vehicles as far as the eye can see. Motorama Auto Museum is also home to 400 of the most unique and rare vehicles in the world. This year the show will be expanded to a two day event and will be held August 10th and 11th, 2018. For details and more information visit them online, or on Facebook. Participants and vendors may also download the 2018 CW Military Show Registration Form. The Hmong Wausau Festival is the largest Hmong festival in central Wisconsin. The Festival is hosted by the Hmong American Center, Inc. a 501(c)(3) non profit and partnered with the Central Wisconsin Convention and Visitor Bureau. The purpose of the festival is to shed light on the existing sports, music, and arts in the Hmong community. During the festival, there are a variety of competitions and tournaments such as flag football, volleyball, soccer, singing, dancing and even a Mr. Hmong Royalty Talent Pageant. In addition, food and merchandise vendors from all across the country traveled to Wausau for the festival to sell their food and merchandise. During our first year, the festival brought in about 8,000 attendees from all across the Midwest to central Wisconsin generating a $1.03 million economic impact on Central Wisconsin. Wisconsin is home to 50,000 Hmong people. Over 7,000 calls Marathon County their home. The Hmong community makes up about 12% of the population in Wausau. Warbirds from the Oshkosh EAA fly-in will come to CWA for a static display of their airplanes. This is a NO charge event. Money for the Never Forgotten Honor Flight will be raised from the sale of Warbird 2018 T-shirts and NFHF merchandise. Food and refreshments will be available as well. Wausau’s ARTrageous Weekend is an art extravaganza offering admission-free fun for all ages at four Wausau locations the weekend after Labor Day. Art in the Park at Marathon Park; the Festival of Arts and the Center for the Visual Arts, both in downtown Wausau; and Birds in Art at the Leigh Yawkey Woodson Art Museum comprise Wausau’s ARTrageous Weekend. Free, handicapped-accessible shuttle buses run between 10am and 5pm from designated locations, easing travel between the weekend’s events.